In the alternate world in which the professional Google-haters live, the Senate vote yesterday to retain the modest open Internet rules drawn up by the Federal Communications Commission should not have even been close. After all, between Google and George Soros, public opinion is something to be shaped and melded with ease. Policies that are drawn up by Google, for the advancement of Google are certain to gain quick and easy approval in Washington. So instead of Google’s tentacles manipulating the U.S. Senate, the vote to stave off total control of the Internet by Big Telecom was 52 to 46 on a party-line vote, an acceptable result from the point of view of those who want Internet users to control their online experiences. But it certainly wasn’t the 88-10 vote one might have expected from an all-powerful Google in control. And you could be sure Google would have rounded up the two missing senators as well. One could almost say this was a telecom-free vote. It was more about partisanship and gamesmanship than about policy. 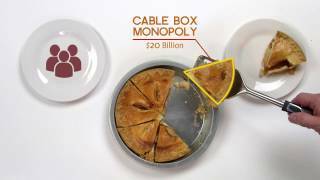 That’s because the shadow of real Open Internet rules that the FCC approved were the result of a deal that FCC Chairman Julius Genachowski cut with AT&T to keep wireless access to the Internet largely out of any Open Internet scheme. While AT&T and Verizon, which is challenging the rules in court, probably wouldn’t object if the Senate voted to overturn the rules, they weren’t making an overt campaign of it in Congress as the vote neared. Those companies also are smart enough to know that whatever vote total occurred wouldn’t be enough to sustain a Presidential veto. 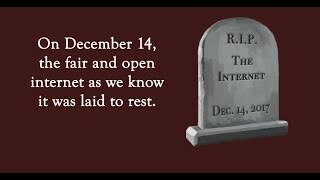 In the end, the fight for an Open Internet, on this day, came down to another misleading attack on Big Government, and overwhelming regulation done by unelected bureaucrats and all sorts of other rhetoric that bore only a faint resemblance to reality. What is undeniably real is that an Open Internet, a truly Open Internet, benefits everyone, from Google to the single-person blog. It’s a shame that posturing politicians who make use of the online medium every day won’t recognize that reality and strive to make certain that it would be a good use of governmental authority to make sure the Internet remains controlled by consumers, not by those who provide the on-ramps and set the tolls.